A contemporary of artist William Orpen, Anna Airy trained at the Slade School of Art. 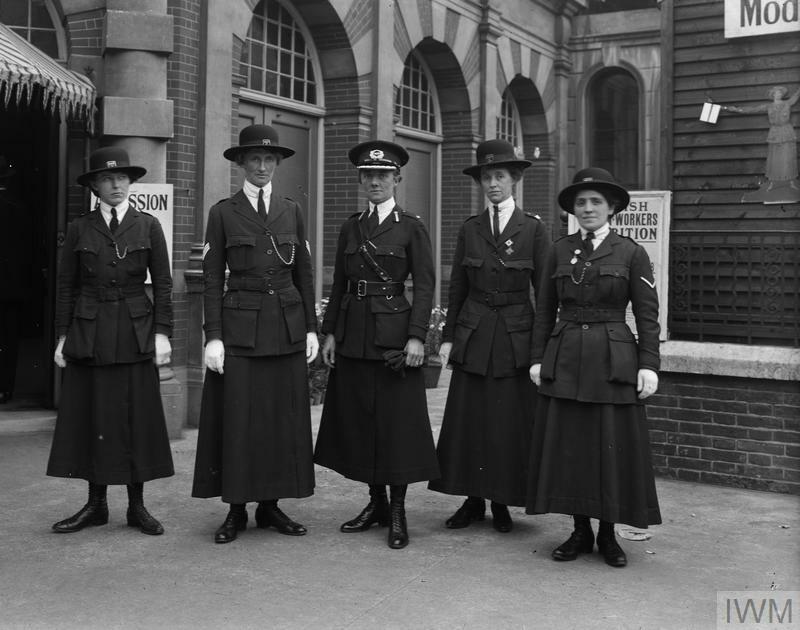 She was one of the first women war artists, employed by the newly founded Imperial War Museum in 1918. 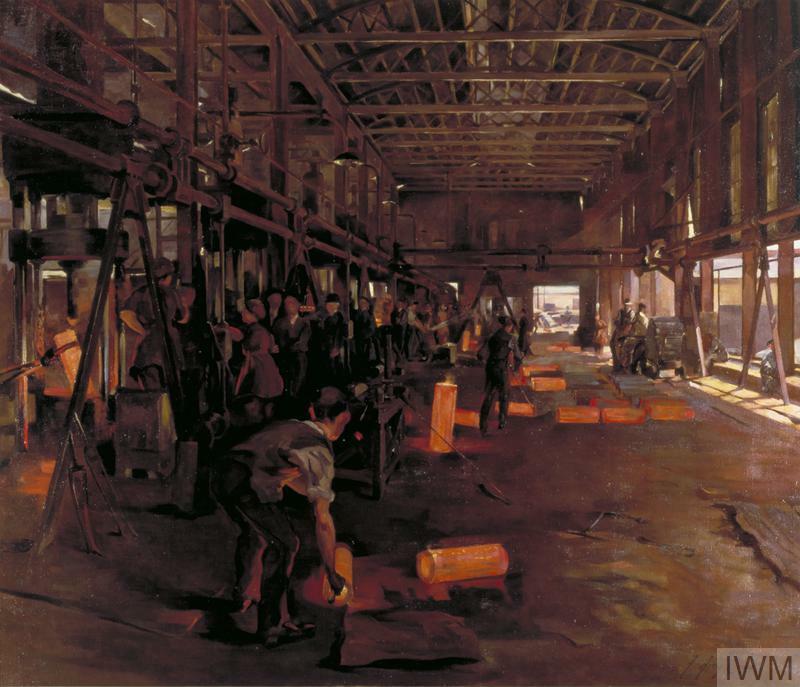 A Shell Forge at a National Projectile Factory, Hackney Marshes, London, 1918, by Anna Airy. This piece was a particular challenge for Airy, who had to work with great speed to capture the colour of the molten shells. The factory was tremendously hot, and on one occasion the heat of the ground became so intense that her shoes were burnt off her feet. These terms included their right to refuse a work and not pay for it. 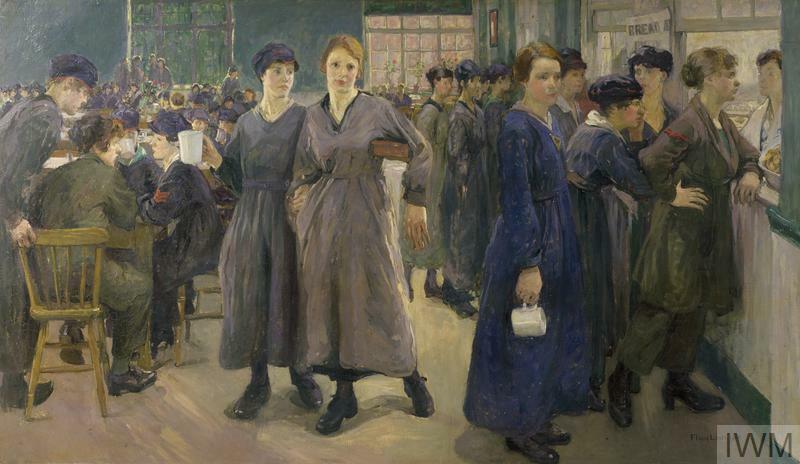 However, she successfully painted four large works for the Sub-Committee, each representative of a typical scene at a munitions or armament factory. This article was edited by Alex Plant. Several IWM staff members contributed to an older version of this piece.